Israeli rescue equipment helped workers save the lives of at least eight trapped miners in South Africa on July 28, after a nightmarish three-day ordeal underground that left three dead, allegedly at the hands of an armed rival illegal mining crew. The Agilite Instant Harness was used by Riga Rescue volunteer Graham Holmquist to lower a South African police interpreter down into the shaft to communicate with the injured miners regarding the procedures to follow. The product is designed for scenarios where military, police, fire, rescue personnel or hikers unexpectedly require a harness, without needing to carry a rappelling harness with them at all times. Agilite’s other popular product, the Injured Personnel Carrier (IPC) or “Human Backpack,” weighs less than a pound and folds down to 10 inches, yet allows a rescuer to carry up to 5,000 pounds on his or her back, hands-free. The IPC shot to fame when it was adopted by top US Marine Corps units a year ago and a video showing the device in use with Israeli commandos went viral. “There was one point when we thought we would not be able to get the stokes basket safely into the mine shaft and we were going to use the IPC to extract the patients,” said Holmquist. Founded in Jerusalem less than two years ago, Agilite has become a known name in search-and-rescue, firefighting, law-enforcement, military and camping markets across the world. 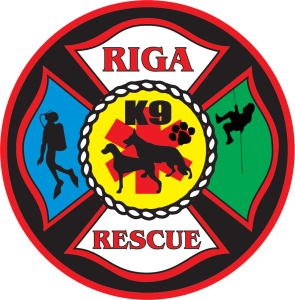 The company makes a growing variety of gear, including harnesses, litters and tactical vests, slings, belts, ropes, packs, pouches and helmet covers. “We have only been supplying Agilite equipment for a number of weeks now, and people’s reactions to it have been both incredible and immediate,” said Jennie Greenhill of Miracle Medical.